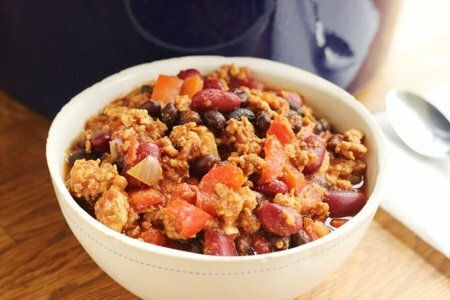 WW turkey chili is for all of us looking for tasty food that will keep us healthy. I am a fan of beef chili see lighter chili with cocoa powder and vegetarian chili best vegetarian chili. This chili is in between both of these recipes. Why? Ground beef has a very strong flavor so it is easy to make any dish you use it in taste really good. Vegetables, on the other hand, need some cooking to get the flavors to render. Ground turkey breast is not the most flavorful meat probably because it doesn’t have any fat. We have all had dry turkey breast (yuck). 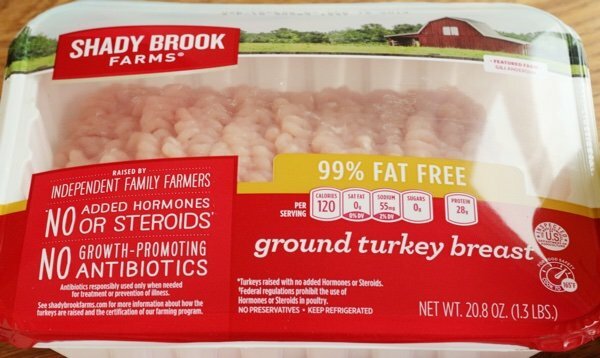 You can find ground turkey breast in the poultry section of your supermarket. It is about $6 or more per pound (not cheap). Because it is bland, you have to add a little bit more interesting flavors to make it work - but, trust me, it does work. I added onion, garlic, red pepper, tomato paste, cumin, and high quality chili powder to make this into a chili that my family could love. They know when I try to slip them something healthier and they did not notice that I had made chili without beef when I served them this. This recipe is still pretty easy and fast for a weeknight meal. I eat it for breakfast with scrambled eggs, a little bit of rice, and hot sauce. YUM! This recipe would be ZERO points if I hadn’t added the olive oil in the beginning of the recipe. I think that a little fat goes a long way here in making the onions, garlic, and red pepper into a delicious base for the chili. It has one point and I can see that this would be one of my go-to recipes if I was on the WW program. It is healthy, fairly inexpensive (per serving) and tasty. 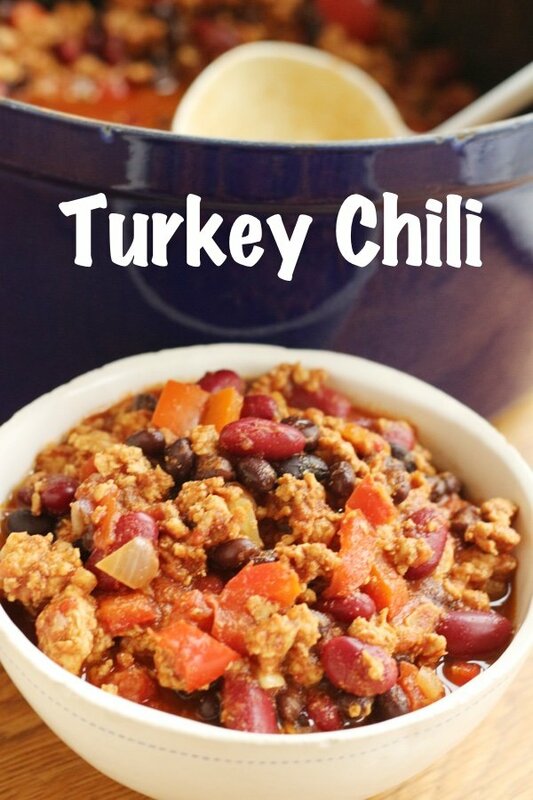 Have you made WW Turkey Chili? What did you put in it? Add olive oil to a large saucepan. 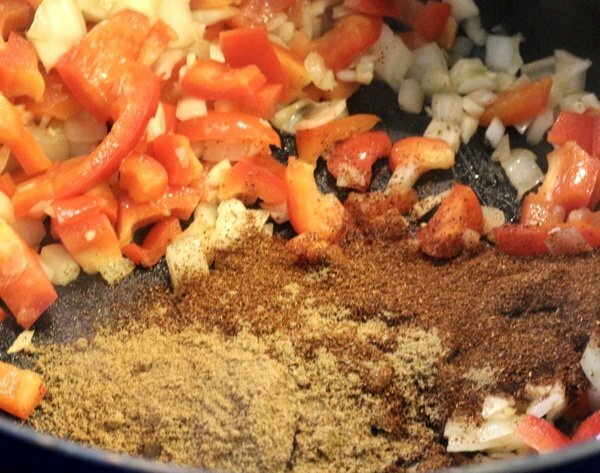 Saute onion, garlic, and red pepper until onion is softened, about five minutes. Add the chili powder and cumin and saute for one minute to toast the spices. Add the ground turkey breast and break it up with a spoon. Cook until white (opaque), stirring frequently. Add the drained beans and tomatoes with juice and simmer on low for 10 minutes. Serve or freeze for a later meal. Can you please tell me how much a serving is with this recipe? I find this information hard to determine with many recipes. I can't do turkey as a substitute for beef or pork anymore. I was using turkey Italian sausage until that one time it tasted like there was turkey in my spaghetti sauce, and nobody ate it. I'm not sure how much fat we save using ground turkey, over extra lean groundbeef we brown and drain anyway. I make the same recipe in my instant pot with added chopped sweet potato. Usually just a medium sized one will do. Serve it plain or with rice. I would also like to know what a serving size is? @Kim & @Connie - thanks for the question. I have changed the recipe above to reflect that a serving size is 2 cups of chili. I am sorry that I didn't include that information when I posted the recipe.